Our final workday of the Spring 2015 season will be May 2 at Robinson Preserve in Bradenton. 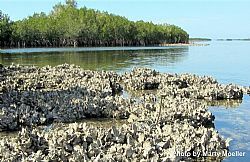 Volunteers are needed to create oyster bags using clean oyster shell to help prevent shoreline erosion and provide habitat. This workday is a joint Tampa Bay/Sarasota Bay Estuary Program project. To volunteer, email misty@tbep.org.